Like most I am on the look out for a new fragrance or two to add to my perfume library for the autumn/winter months. Being someone that tends to favour fruity scents this can prove to be a little difficult as I don't really like anything too heavy but do crave a little more warmth and depth from such seasonal offerings. However I do have to say that Estee Lauder Modern Muse Eau de Parfum gets a huge thumbs up from me and here's why. Experience the new fragrance that captures your style, your confidence, your creative spirit. An alluring contrast of sparkling florals and sleek, sensual woods." If you are looking for a new sensual fragrance that is both warm, comforting not to mention long lasting and ultra feminine this is the way to go. Modern Muse is truly beautiful, floral without being powdery and woody without being masculine or overbearing. Estee Lauder may not be your usual point of reference for fragrance but if you don't try this out you truly are missing out. 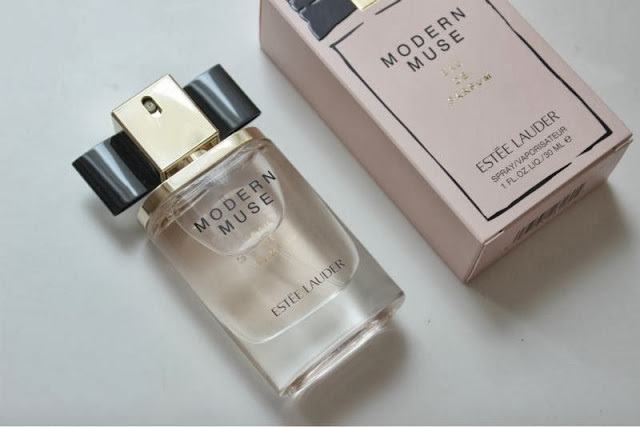 Estee Lauder Modern Muse Eau de Parfum from £44-£86* via John Lewis - link, Debenhams - link, House of Fraser - link and Boots - link. Would love to try this fragrance. The bottle is lovely too!